HomeBloghow alexa matters for a websiteHow alexa matters for a website? How alexa matters for a website? Alexa is a company owned by Amazon and is a powerful tool through which we can check the details of our website. This is used to rank your website. It specializes in website analytics. The ranking of alexa matters a lot for a website and its development. If you want to establish your company in market, alexa ranking helps you a lot. You need to consider website ranking, links, traffic, and many other factors. The main question arises is after the updation of Google, how alexa matters for a website? Alexa ranking means you site has more traffic. Alexa records your visitor using its toolbar. In other word, alexa ranking is normally a sample of your traffic coming in the website. Earlier the alexa ranking was really important for a website but it is really not. There are many companies who have genuine visitors but their ranking is not that good in alexa toolbar. Alexa widget also cares about the backlinks produced though other websites. Publishing good, unique and relevant content will help you developing good backlinks. This fact of matter is relevant link building are helpful for your website and this is how alexa matters for a website. Search engines want to know if a site is worth going to. If it is, Google is happy to index your website. This is a rule which you should keep in mind while doing SEO tasks. The difference between a site’s normal search result and higher search results is the website which has higher search result is more user friendly than the other one. 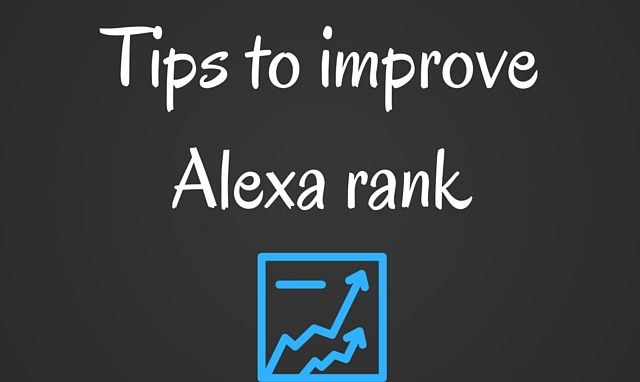 Alexa Ranking and other rankings are very important for a person which shows how your website is looking. This is the reason why it is so important to have correct links. If you are linking your site with many other sites through backlinks, Alexa will enjoy it. This is the main reason how alexa matters for a website?